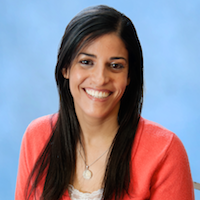 Na’ama Giat is going into her fourth year of teaching Hebrew immersion at LBJA. She received a degree in Criminology and Sociology at Bar Ilan University in Israel, where she taught high school for children that came from broken homes. Na’ama is currently working on a teaching certificate. Her summers are spent as a camp counselor. She has also studies the Tal Am Hebrew Program and was a Hebrew school teacher.